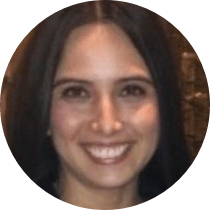 "They effectively streamlined our news updates, saving our team time when pushing out content to our associates." There are over 50,000 employees, contractors and stakeholders that must embody the strong brand that Lexus represents. The challenge that Lexus faced is how to enrich their brand in the eyes of their internal stakeholders and to educate them through new digital channels. Only a small portion of the Lexus team had inner knowledge and access to critical information about what were the new car models and when they were being released. These pieces of exciting news, events, and achievements of the car brand, were not accessible nor were they available in a central portal to the entire Lexus team of 50,000 people. Working hand-in-hand with Lexus brand managers, and Lexus’s IT department, Dogtown Media designed and developed a Learning Management System, enabling Lexus to quickly push out important content to their stakeholders across all their teams in Lexus North America. The mobile responsive and secure web portal automatically alerted team members when exciting news was breaking so that they would hear it first. The Lexus team had insider access to view full specs of new and exciting car models that were being launched as well as events, awards, recognition, online interactive workshops, and training materials. 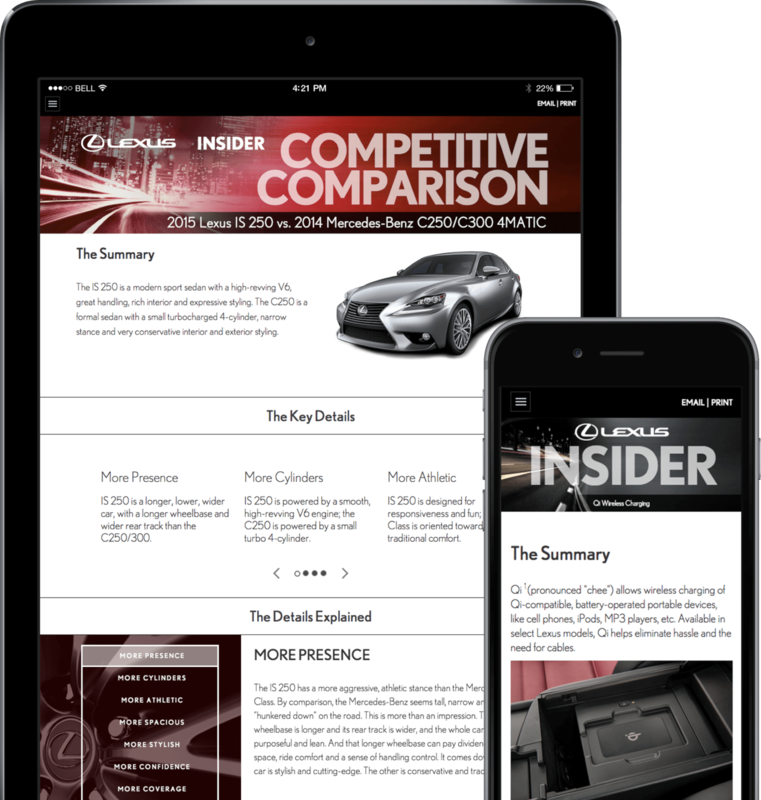 The end product was a private web portal, dubbed the Lexus Learn platform, designed to inform and disseminate exclusive news to Lexus North America’s 50,000-plus employees, contractors, and stakeholders. 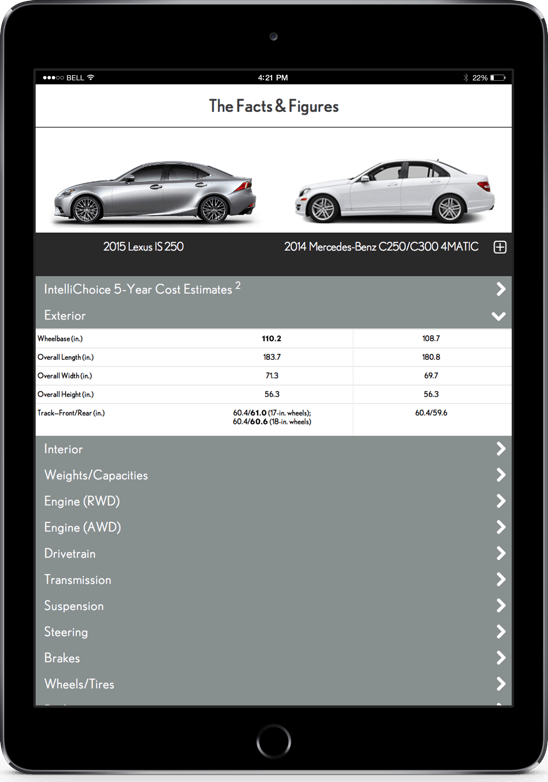 These 50,000 people can access up-to-date sales and product data to directly compare car models on their iPhone, iPad, or Android device. 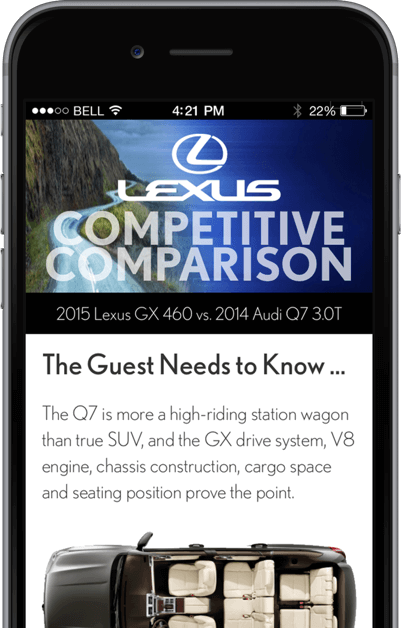 The result was a well-received, interactive experience, rolled out to all of Lexus’s team members in North America. The system had high levels of engagement and streamlined the formerly archaic way that Lexus would share information with their stakeholders. Thus, the content marketing team at Lexus now had a clear line of sight on how their content performed, who interacted with it, and enabled them to roll out a strategic plan to increase employee satisfaction, loyalty, and vastly improve employee training and educational initiatives.